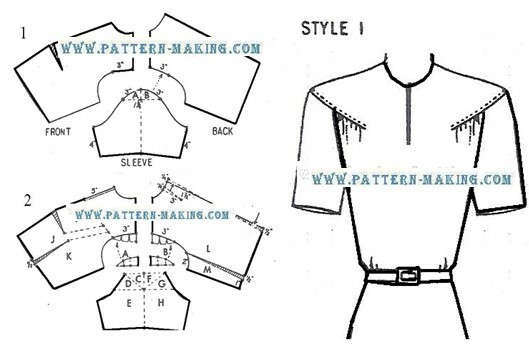 Illustration shows shoulder extended about 1-1/4” beyond the regular armhole. 1) Use the dress foundation of the front, back and sleeve as a guide. Cut off part of sleeve cap and apply to armhole at front and back for extended shoulder, as follows: First draw a line through center of sleeve; then mark a dot 1-1/4” from top . . .